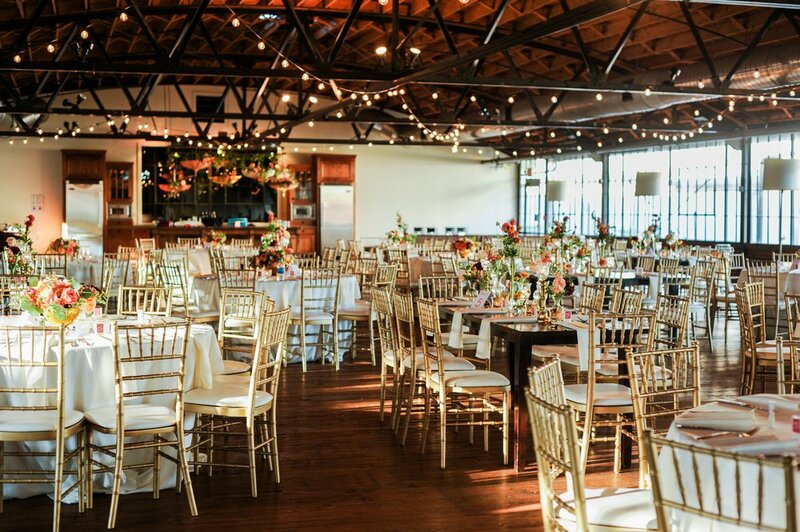 We had been looking forward to this rehearsal dinner at Summerour Studio for months! 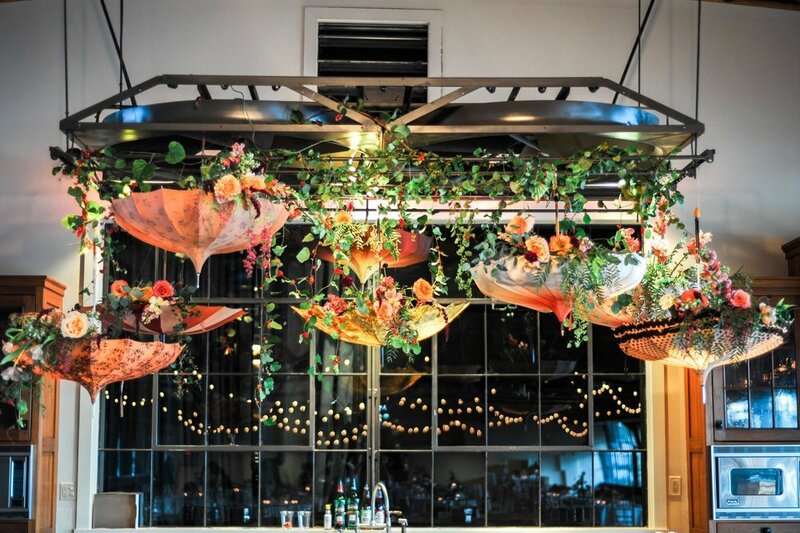 When umbrellas are part of your couple’s first encounter, you of course have to incorporate umbrellas into your event….and make it rain flowers. 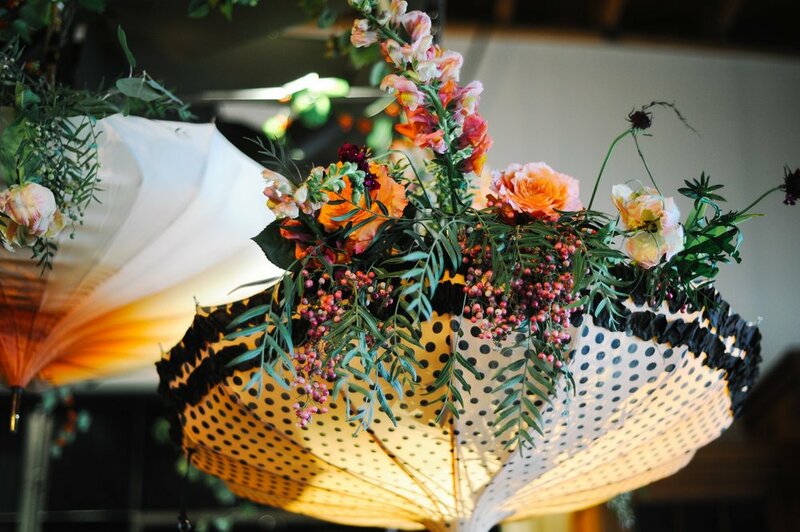 Umbrellas from Bella Umbrella gave us the perfect mixture of vintage parasols from which we could drape flowers and give the umbrellas a super romantic look. 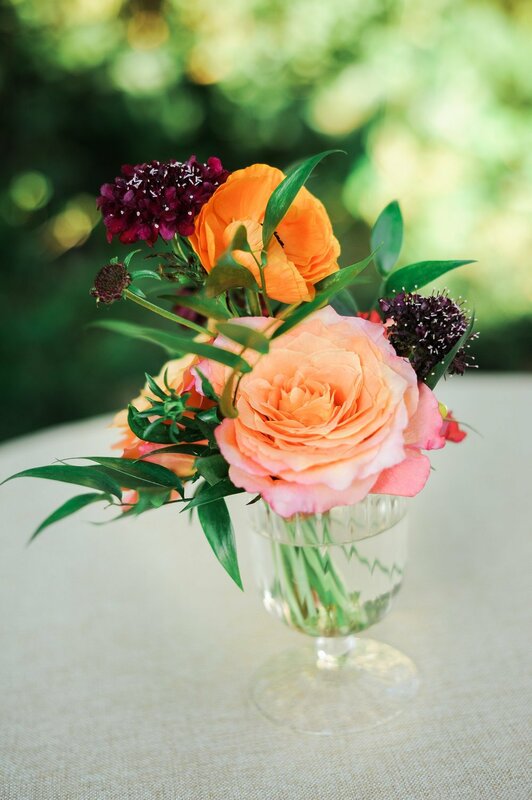 And, because last week was the first week of fall, there was no way we couldn’t use the beautiful fall colors that are upon us right now. 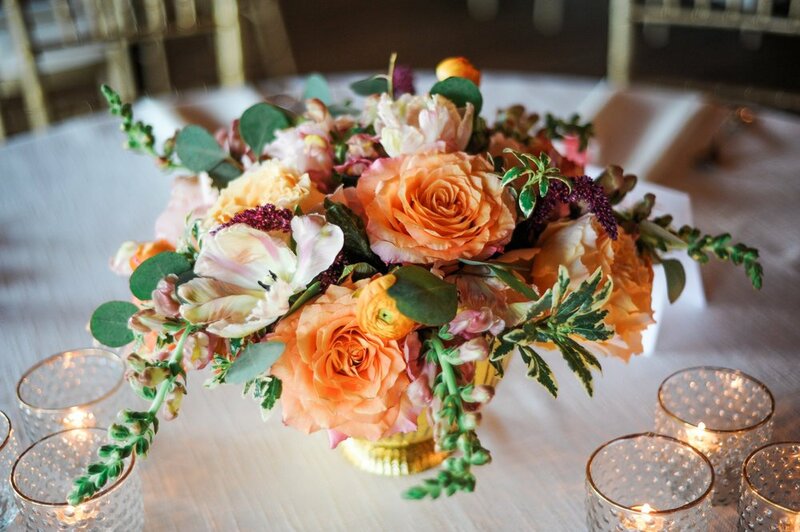 The tables were filled with bud vases, natural arrangements in bright gold compotes and, of course, tons of candlelight! We’d do this event over and over if we could, we loved everything about it! Thanks to Terry Saxe, of Special T Events, for the superb and flawless planning and coordination of this beautiful night! You’re the best!! 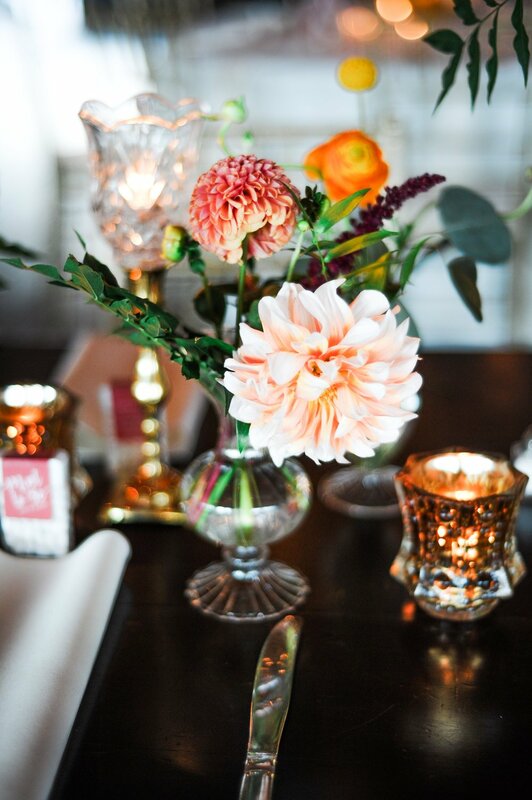 I loved every minute of planning this fun rehearsal dinner.